Argentina's spies are monitoring potentially threatening groups that will protest against the G20 summit. President Trump will come with 1,000 security officers and an aircraft carrier. The Federal Intelligence Agency (AFI) will form part of a 25,000-strong group of agents, military and police officers that will aim to ensure the upcoming G20 Leaders Summit passes off peacefully. This is the main goal of Mauricio Macri and his administration for the high-profile event, with the president also seeking an improbable geo-political agreement between world leaders including Donald Trump, Vladimir Putin, Xi Jinping and Angela Merkel. For months, the Federal Intelligence Agency has been monitoring leftist and anarchist groups who intend to demonstrate against the meeting. Security Minister Patricia Bullrich has already warned that "covered faces or backpacks with stones" will not be tolerated. The state agency formerly known as the Secretariat of Intelligence (SIDE) has analyzed the last 20 meetings of the G20, and it is in constant contact with intelligence agencies from the 28 participating countries: the 19 other protagonists of the meeting that will take place in Costa Salguero, and those who will represent multilateral organisations such as the International Monetary Fund (IMF), the Bank World and the Inter-American Development Bank. Even though the AFI and the United States' Central Intelligence Agency (CIA) – as well as Britain's MI5 and Russia's Federal Security Service (FSB), are working together, each leader will arrive with its own personal security team. According to a recent report in the local daily Clarín, President Trump will have a team of around 1,000 security officers in two. The United States will also help Argentina's own Armed Forces to survey its airspace with an aircraft and a ship – whilst unconfirmed, speculation has reported the aircraft carrier USS Carl Vinson will be involved. So far, there have been no terrorist threat, the government has confirmed. However, some of the leaders who will participate in the summit have received intimidating messages in the past, it is believed. In the Condor building of Argentina's Air Force is the The Information Technology Department. From there, the government aims to prevent any possible cyber-terroristic attack on the crucial summit. Marcos Peña and Defense Minister Oscar Aguad visited the site just two wees ago. Directed by Gustavo Arribas and Silvia Majdalani, the AFI is monitoring groups and local militants who are ideologically against the gathering: it especially focused on a newly-formed group named "Confluencia Fuera G20/FMI," sources say. The collective was founded at a meeting held at the Faculty of Social Sciences at the University of Buenos Aires and consists of a host of representatives fro other groups. The spy agency, which closely monitors online spaces and networks, is also monitoring a realted group with a history that dates back 20 years, a global group named Attac (Association for the Taxation of Financial Transactions and for Citizens' Action), which opposes neoliberal policies and free-trade agreements. Along with several other organisations, Attac is planning to demonstrate against the G20 and the summit, starting Monday, November 26, and running until Friday, November 30, when the event is due to begin. That day, the group is also planning to march against the arrival of Trump. "We have nothing to hide, nor do we want to confront the police. There will be hundreds of thousands marching, [but] we know that there are always small groups that bring disorder," said Luciana Ghiotto, a member of Attac Argentina. 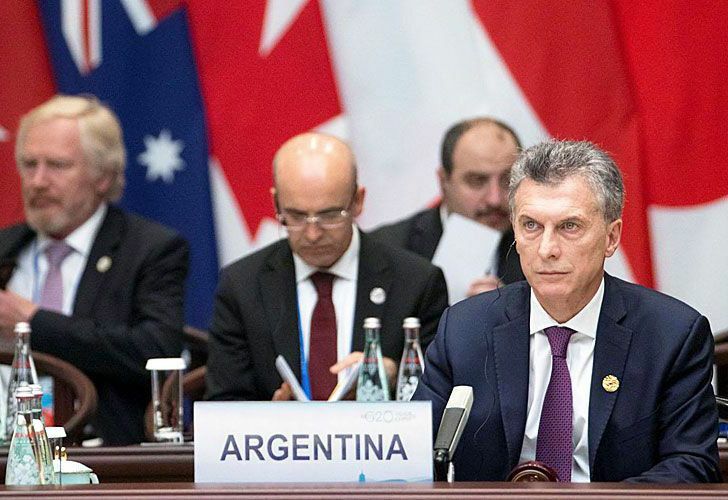 Argentina's intelligence agency has been monitoring the protests that, since November of last year, have taken place at some of the more 150 events organised in relation to Argentina's G20 presidency. Last June, a group known as Fuerza Artística de Choque Comunicativo protested in Bariloche, and other demonstrations have also occurred in Mar del Plata. The government has been preparing for any eventuality. Last February, itt announced it invested 100 million pesos in the purchase of weapons, riot equipment and projectiles, including 180 shotguns, 15 million rubber bullets, 2,000 tear gas projectiles and police vests. The Security Ministry also requested 6,000 containment fences, 15 million rubber bullets, 9,100 vests, two million 9mm bullet cartridges, 3,150 sets of helmets, shields, gas masks. Twenty-five thousand officers will be in service for the event. Security officers will be stationed at all hotels and 23 boats will patrol the waterways and rivers near the capital.